Place the biscuits in a food processor. Process until fine crumbs. Add melted butter and mix to combine. Using your fingertips, press the biscuit mixture over the base of a paper lined 20cm cake tin (with a removable bottom). Freeze for 15 minutes or until firm. Pour the softened ice cream into a large bowl and add the lemon curd. Beat with electric beaters until nice and smooth. Pour over the biscuit base. Cover with cling wrap and transfer carefully to the freezer. Freeze overnight. Remove from freezer 5 minutes before serving. Top with fresh seasonal summer berries to serve. Browse our 4 Ingredient recipes below and Be a Betta Cook! 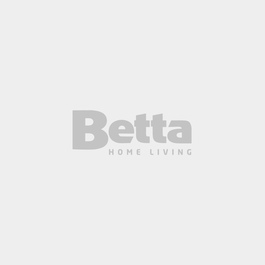 Betta is an Australian owned and operated Electronics and Furniture retailer and has been part of the Australian community since 1961. A huge store network of over 200 stores allows for great buying power. With access to over 100 leading brands, such as Samsung, LG, Panasonic, Fisher&Paykel, Beko and Electrolux Betta is the place to go for better deals on TVs, Fridges, Washing Machines, Air Conditioners, Furniture, Kitchen Appliances, Cooking and much more. Shop in store, online or on mobile… That's Betta!